"...and work hard to help you sell, rent, or find property quickly and efficiently. I've used them to purchase my townhouse and home as well as find tenants for my townhouse." "... and felt our questions and concerns went unanswered. Leslie was wonderful, answering questions and doing research before our home visits to be sure we didn't waste our time. She was there every step of the way and I'd definitely recommend her to anyone looking to buy in this area." "...team out there! We have worked with them on several occasions thru a difficult sales process on our home. They were always helpful, attentive and the most honest realtors you will ever meet! Throughout the long process they remained professional and on top of the situation which became very frustrating at times. They work tirelessly and we now consider them our friends! After all their efforts and hard work we would only work with Tom and Leslie!!" Tom & Leslie are amazing! "I purchased my first townhouse in July 2011, and I am very pleased that I had them as my agent. I have always been under the impression that buying a house is stressful, complicated, and difficult process. Tom & Leslie proved me wrong! They were very easy to contact whenever I had a question, and reacted quickly to any issues that arose. I was impressed by their knowledge of the real estate business and the area that I was interested in purchasing. Tom & Leslie are an excellent team! They keep each other informed of even the smallest details, making it very easy as a buyer to get answers to any questions or issues that may arise. They kept me informed of new properties as they came on the market, and were readily available to show any properties that I was interested in - even with their office being over 30 minutes away. When it came time for an inspection, I was grateful of the business ties that they had available. They referred me to my inspector, whose services were above my expectations. They worked very well with my mortgage broker and real estate attorney, which made closing a breeze! I highly recommend contacting Tom & Leslie to anyone interested in purchasing a new home." "and we went with Leslie cause she was a straight shooter and had strong knowledge of the area. She provided me with subject matter experts that helped us close our house successfully." "...we pretty much picked them blindly from the phone book. However, after the initial phone call, we knew right away that they were the team for us. The ease and confidence at which they were able to demonstrate from that first conversation convinced us that they were the agents for us. Beyond their consummate professionalism and knowledge, they each brought something very uniquely fun to the buying process. They were able to listen to what our needs were and find us the best home within our desired budget. Beyond responsive, Team Tom and Leslie are proactive. Walking into close, we knew exactly what to expect and when things didn't go quite smoothly (through no fault of their own) Tom and Leslie were able to communicate the process glitch so that we never felt panicked or even concerned. 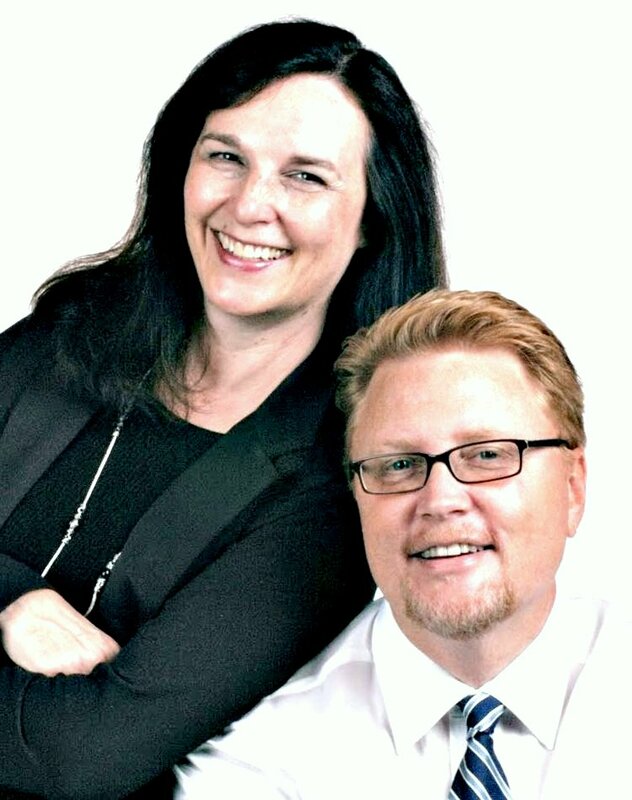 What's most impressive about Team Tom and Leslie is that their overwhelming knowledge is equally matched with astounding dedication to serving their clients---well beyond the close. Not only WOULD we recommend Team Tom and Leslie, we have on several occasions and will continue to do so well into the future. Team Tom and Leslie are outstanding AND outstanding people. We never thought the home buying process could be so much fun!" "... with Tom and Leslie back in 2005 and quickly realized we'd found the perfect real-estate professionals. T&L have fantastic complementary strengths that pay huge dividends for their clients. Not only were they able to stage our first sale quickly and inexpensively, but they got us several immediate offers that were higher than we had hoped and moved the house to a fast close. Shortly after we purchased another home through T&L and had an even better experience on the buying side! It wasn't until we relocated out of state and sold that house in 2010 that Tom and Leslie truly proved their value and expertise however. While we were 2000 miles away they staged our home, took care of all necessary details and got us four good offers when NO offers were coming to our neighbors. Without their help we'd probably still be trying to find a buyer and making two mortgage payments. Worth their weight in gold!" "... in the sale of two homes and purchase of another in the past seven years. We have been very satisfied in the services they provide. Not only were they great, responsive agents, they also have been a trusted resource for referrals to painters, heating/cooling contractors, home inspectors, attorneys and even someone to plow our driveway on very short notice."